If you are a Florida resident or annual passholder the Tables of Wonderland program is a great way to get a 20% discount on Disney World dining. The idea is that you can purchase a Tables of Wonderland card to enjoy 20% savings at select Walt Disney World restaurants. 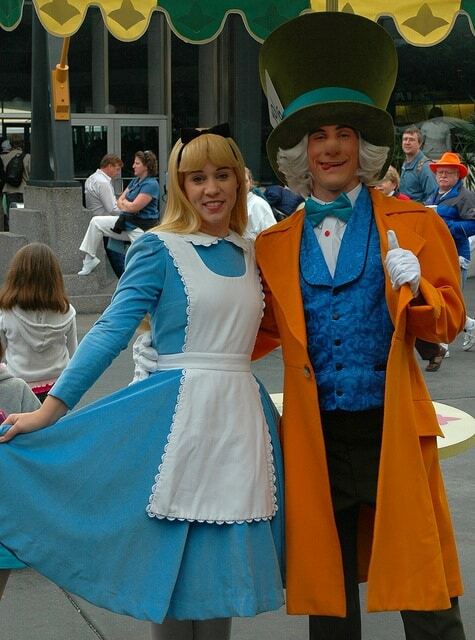 The Tables of Wonderland card is not heavily promoted by Walt Disney World. Only those ‘in the know; seem to realize that it even exists. In all the many years that I bought an annual pass I have never been asked by a Cast Member if I want to get a Tables of Wonderland Card. The Tables of Wonderland card entitles the cardholder to 20% off food and beverages (yes even alcohol) at the majority of full service restaurants in Walt Disney World. Present the card and your server will take 20% off the check but then an 18% gratuity will automatically be added back. If you dine at Victoria and Albert’s in The Grand Floridian 20% will be added back. So really you save just a little over the gratuity amount. Nevertheless this is a big saving and you will find that particularly if you have a large party the card will quickly pay for itself. The card can be used for up to 10 guests. There are some black out dates such as Mothers Day, Easter Sunday, Independence Day, Thanksgiving Day, Christmas Eve, Christmas Day, New Year’s Eve and New Year’s Day. However when we visited in 2010 we did have our card accepted on Thanksgiving Day. Not sure if this was a server error but we definitely got our discount. Tables of Wonderland membership is $100 per year for Florida Residents and $75 for Annual and Seasonal Passholders. You can purchase this at Guest Services outside the parks (with the exception of the World Showcase Entrance at Epcot). If you are a Florida Resident you will need a Florida issued ID with a Florida address such as a Driver’s License. You can purchase an additional card for your spouse or partner at a cost of $50 but you only need this if you plan not dine together so rarely would this option make sense. Free parking at a Disney Resort when dining at the resort. This includes valet parking. Of course parking at Disney resorts is always free (with the exception of the Walt Disney World Swan and Dolphin) so this is only really a perk if you take advantage of the valet parking. Free theme park parking after 5.00pm when you dine at a theme park restaurant. This is a saving at present rates of $14. Invitations for special member only events are sometimes sent out. Free admission to Atlantic Dance Hall for the member and one guest. This really isn’t too big of a deal as this is often free to everyone anyway.